Since we exhausted some of the most traditional Holiday flavors last year, we’re left with the challenge of digging deeper and looking at traditions of other cultures or finding new interpretations of the classics we love. 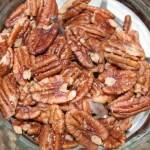 A few years ago I experienced my first pumpkin pecan pie, and had my mind blown. Combine two favorites into one you say? Precisely. 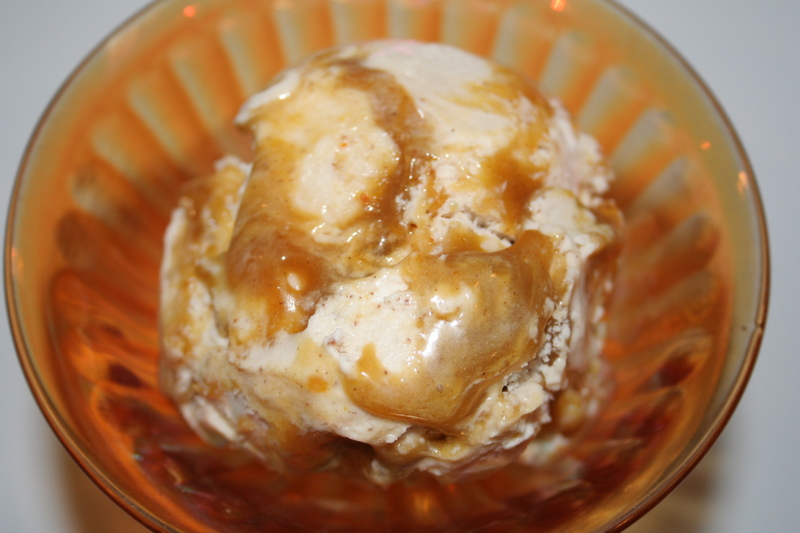 However, instead of making an ice cream full of pecan chunks, we chose to make a pecan flavored ice cream and ripple it with pumpkin caramel in hopes the two flavors would work in harmony rather than fight each other for the front seat. 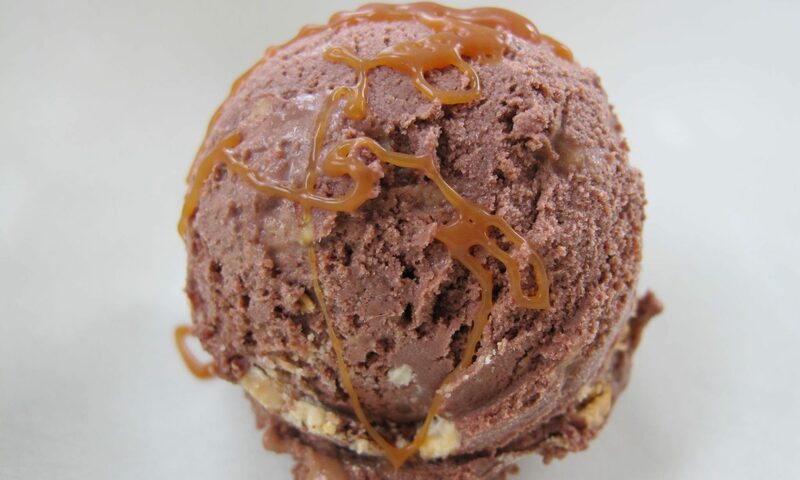 Since we made the black walnut flavor a few weeks back, we’ve been fascinated about ice cream flavors steeped with nuts because the texture and flavors are so intense. 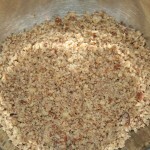 The fat of the nut releases and combines with the cream, which brings the nut’s inherent flavor along with it. What you get is an ice cream that tastes exactly like the nut, but without any of the protein actually in the final product. We followed suit for this flavor and chose to make a steeped roasted pecan ice cream that screamed pecan, but with none of the chunks. Yeah, I love the chunks too – but its all about different and new experiences and we’re in love with this process. First the pumpkin caramel. 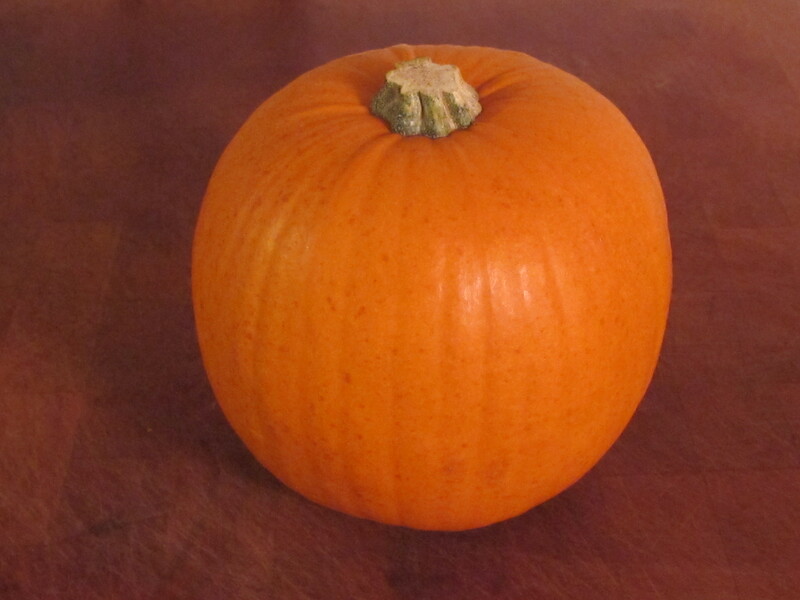 Step one – roast and puree pumpkin. No canned pumpkin here. Not that there’s anything wrong with that! Thanks to a lovely blog we ran across in the past few months, the Vintage Mixer, we found a great recipe for pumpkin caramel and adapted it to work in this flavor. 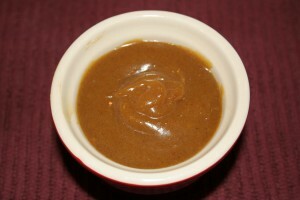 The pureed pumpkin is mixed with nutmeg, ginger, cloves, cinnamon and salt, and reduced with sugar and maple syrup. We omitted the pumpkin seeds from our version in order to keep the ice cream free of rough terrain. Man its good! 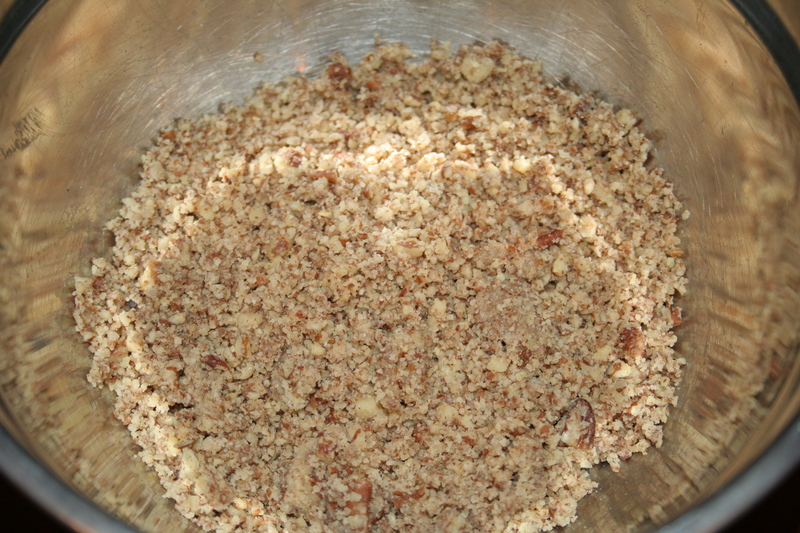 Then we ground the roasted pecans into a powder and steeped them hot in the cream mix. Once they get their full steep on, we strain the chunks out to keep a smooth consistency. Lastly, the pumpkin caramel is put down in layers as the ice cream goes into the pint. The end result is a incredibly flavorful ice cream that screams traditional holiday flavors all bundled up into one. 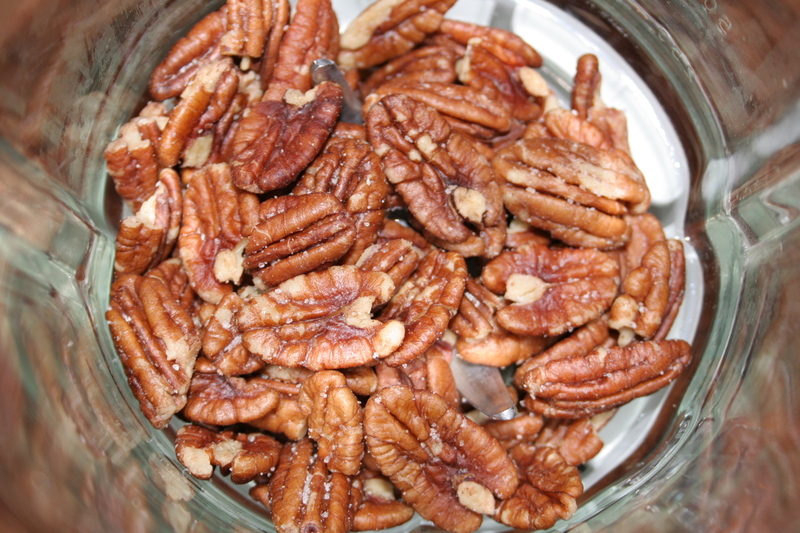 The pumpkin jumps out first and then is finished off nicely by a instantly recognizable roasted pecan flavor. You can win one of the only two pints in the world, filled with this fabulous, scratch made craft ice cream in our weekly pint giveaway. Enter your name in the comments section here, or on our facebook page under the posted contest. 2 lucky winners will be drawn randomly on Friday 11/16 at 4pm. Winners must be able to pick up locally and give us feedback. Pints must be claimed by email within one week or we will redistribute. 🙂 Good luck!